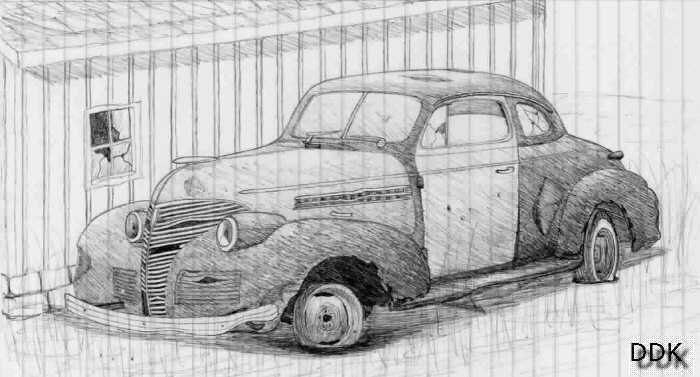 This is a drawing of a delapidated ‘39 Chevy Coupe before restoration. It is shown with all the dents, holes, wounds, and mismatched panels that give so much character to unrestored classics. It is meant to look as if it has been sitting outside near a barn rotting away. The owner of this car is most likely one of the “I’m going to restore that some day.” kind of people who lets a car rot into the ground instead of selling it to someone who will give it a new life as a streetrod.